It’s simply amazing the fun things you can create with newspaper! I’m beginning to lose count on all of the fun creations we’ve made so far. 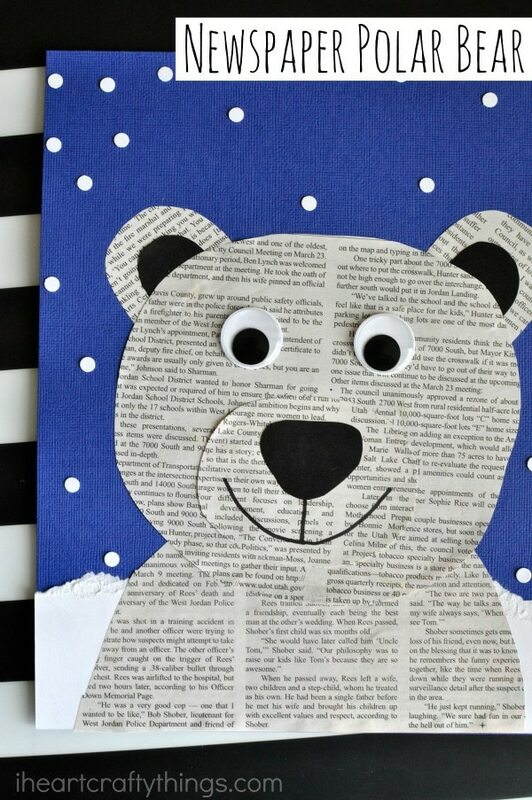 Our latest is this newspaper polar bear craft and it’s perfect for a winter kids craft. It’s super simple to make and the added bonus of our polar bear craft pattern makes prep time a breeze. 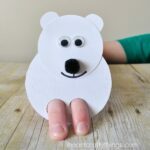 We also have a video tutorial near the bottom of this post to guide you through each step of this fun and easy polar bear craft. 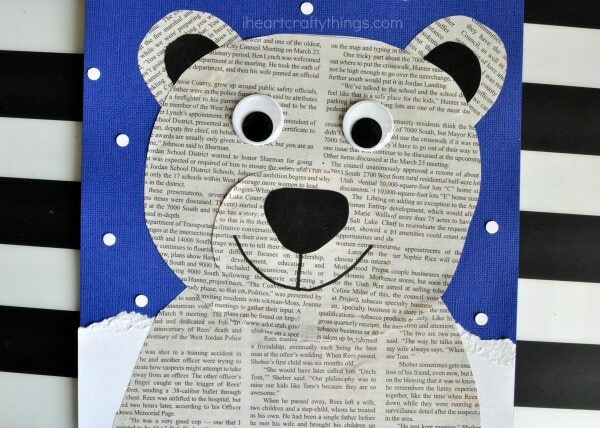 Kids of all ages will enjoy creating this darling newspaper polar bear craft. You’ll find that every child’s finished polar bear craft will look completely different, each with their own personality and style. This fun winter kids craft is a perfect compliment to an arctic animal learning unit at home or school. Make sure to check out some of our book recommendations at the end of this post. 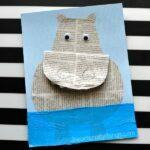 This craft was inspired by this darling polar bear art project at ARTventurous. 1. Begin by cutting out several pieces from your newspaper to make your polar bear. Start with a large circle for the polar bear head. Another half circle for the the polar body body. You will also need two ears and a circle or oval shape for the polar bear muzzle. 2. cut out two half circles for the ears and a nose from black cardstock paper. 3. Tear a section off your white cardstock about one-third down the page. You will notice a textured section along the tear of the cardstock that gives great texture to your craft. Add glue to the back of the cardstock and glue it at the bottom of your blue cardstock. This piece will be the snowy background behind your polar bear. Save the remaining piece of your white cardstock you did not use as scrap to use in a different craft project in the future. 4. Glue the polar body at the bottom of your page, on top of the snow. Then glue the black nose inside the muzzle and the black inside ear pieces onto the ears. Glue the muzzle on the polar bear face and the ears at the top of the polar bear face. 5. Glue the the polar bear face on top of the polar bear body. Now glue on the googly eyes. 6. Draw a mouth on your polar bear with your black marker. 7. Use your hole punch to punch out several white circles. 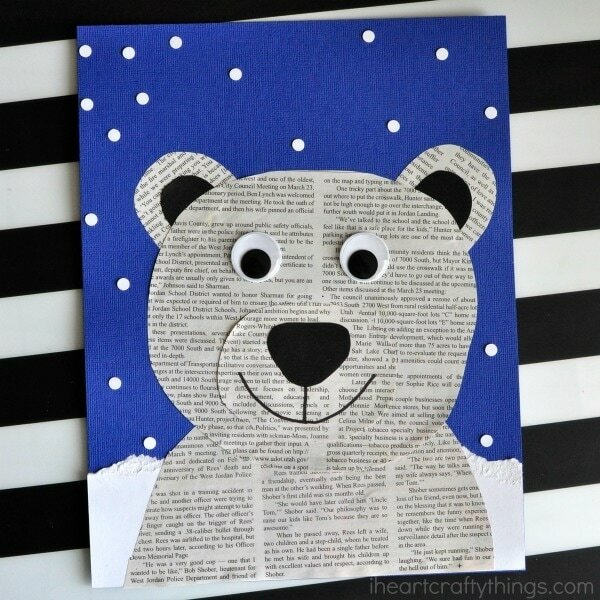 Finish your newspaper polar bear craft by gluing the snow all around your polar bear. NOTE: If the white circle punches seem daunting you can also have children print a fingerprint with white paint around their paper for snow. Using a white crayon to draw on snow is also another simple alternative. 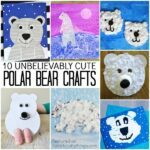 You will adore how each child’s polar bear craft has a different look and personality. This fun winter kids craft is perfect for displaying on a classroom bulletin board outside the classroom for the entire school to see during the winter season. If you are unable to use newspaper or find enough for an entire classroom to use, you can always use white construction paper or cardstock to make this craft with your children or students. Both options yield a gorgeous polar bear craft. Watch the video below to be guided through each step of this Hedgehog Valentine Craft. 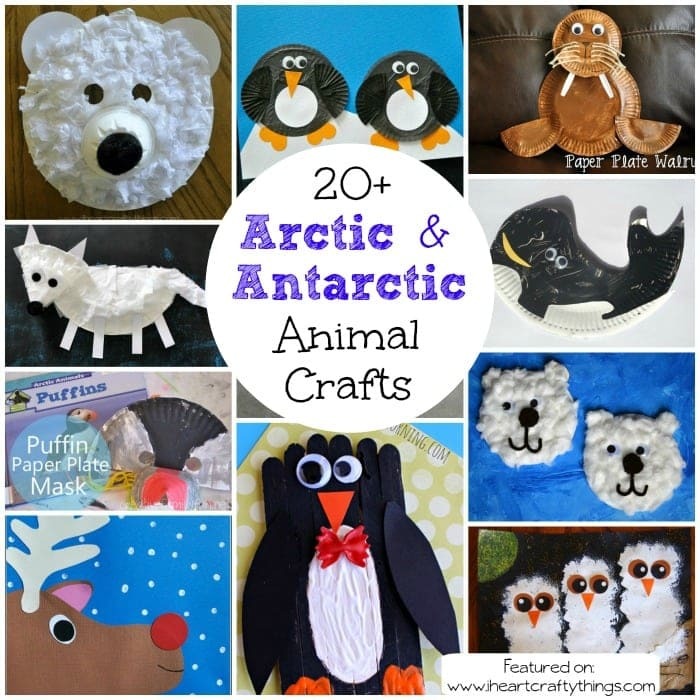 Make sure to check out our collection of over 20 arctic and antarctic animal crafts that are perfect for the winter season. You’ll find polar bears, reindeer, snowy owls, whales, penguins and more. Do you love creating with newspaper? 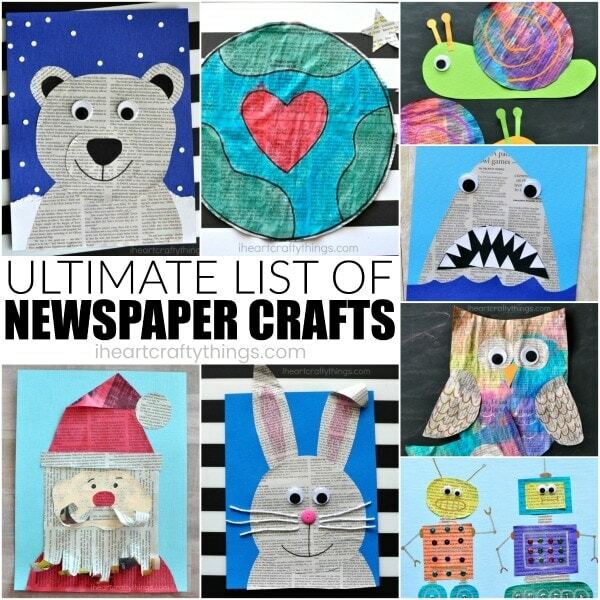 Our ultimate list of newspaper crafts will keep you crafting throughout the entire year with newspaper. This gorgeous winter landscape art project is another newspaper art project that kids will adore creating. Want to incorporate some fine motor and sewing skills into your winter activities this year? This paper plate snowflake yarn art activity is a great winter craft for kids. Looking ahead to Valentine’s Day? You will love this list of over 30 of the best Valentine’s Day Arts and Crafts Ideas for Kids. Crafts, art projects, Valentine’s Boxes and homemade Valentine card ideas for kids to make. I Love this little Idea, it’s very easy to do with the kids. Do you have a template for the polar bear for kids to trace and cut? I Love this little Idea, very good. Trabalho com encadernação artesanal. We used a hole punch to punch out white circles and glued them around the page.